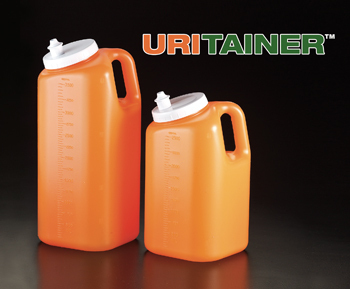 The Urine Collection Containers are USER FRIENDLY to both patients and laboratory personnel. 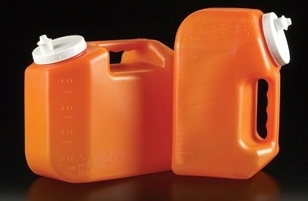 On the 4 liter model, urine can be poured into a tube by simply tilting the container forward without having to lift it. � Resistant to hydrochloric acid.